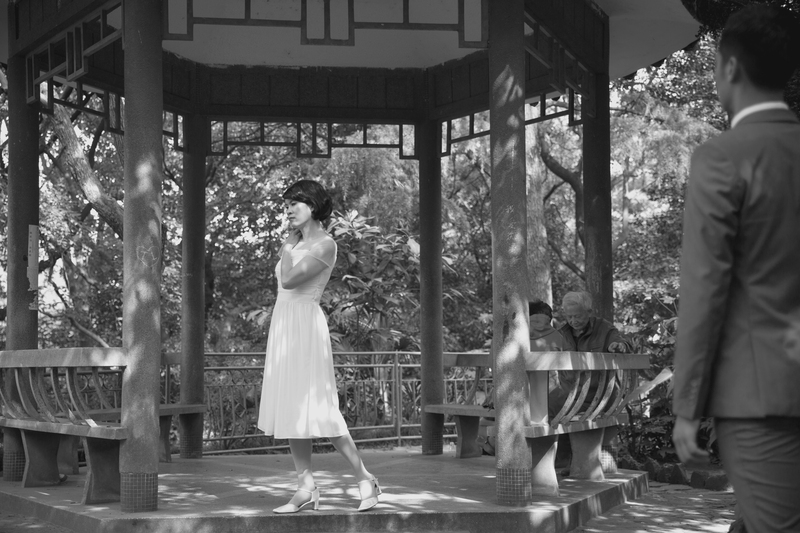 Through works combining his ongoing research into the modernization of Cantonese opera, the archeology of science fiction movies, and the New Wave classic Last Year at Marienbad, Singaporean artist Ming Wong explores nonlinear, heterotopian notions of temporality. From June 11 to August 9, UCCA presents the solo exhibition “Ming Wong: Next Year”, comprised of two new works from the Singaporean artist. 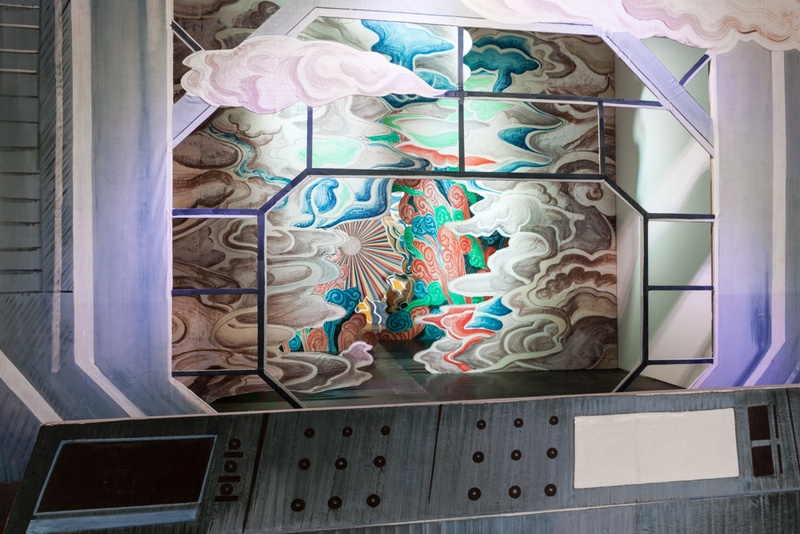 In Scenography for a Chinese Science Fiction Opera, Wong turns the Nave into a stage, fusing the aesthetics of the spaceship referenced in Chinese and American cinematic history with traditional cloud patterns based on Chinese cosmology of immateriality. 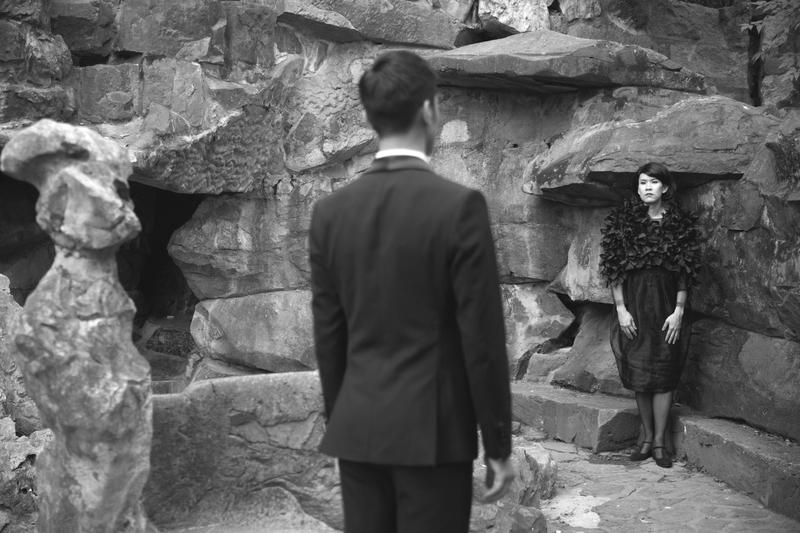 Continuing the futurist theme, Wong has re-staged the French New Wave classic Last Year at Marienbad with his film 明年 | Next Year | L’Année Prochaine. The two pieces continue with thematic threads evident in the artist’s previous works, continuing his exploration of temporality. For the installation Scenography for a Chinese Science Fiction Opera, Ming Wong closes off the Nave, mimicking the three-dimensional set design of traditional stage theater with more than ten wooden backdrops. 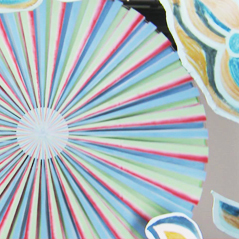 Painted to resemble the interior of a spaceship and swirls of clouds, the backdrops are bifurcated down the middle allowing visitors to walk the length of the hall, through this man-made scene, to its conclusion-a kaleidoscopic, disorienting wheel of color. Ming Wong’s installation appears to follow a narrative: visitors emerge from the spaceship, thereby entering the space of the open sky. 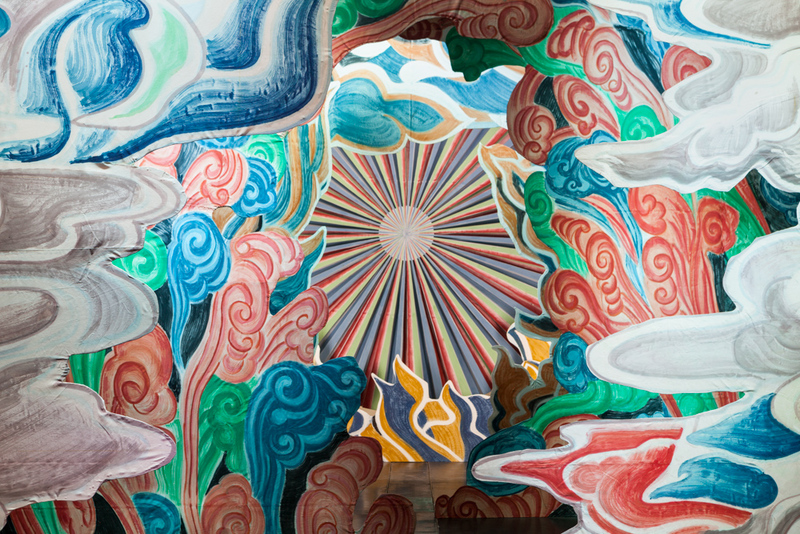 But in actuality, this piece contains two mismatched parts: the sky is painted after the universe found in traditional Chinese opera and ancient religious murals, abstract and bright, contrasting sharply with the dark, naturalistic spaceship. The two sets of iconography represent a multifaceted cultural landscape and a nonlinear timeframe derived from Wong’s investigations of the modernization of Cantonese opera, ancient Chinese wall painting, and science-fiction films from China and abroad. Visitors are enveloped within a futuristic science-fiction movie set then given over to a mural painting of the sky, seemingly walking towards the future yet facing the past. 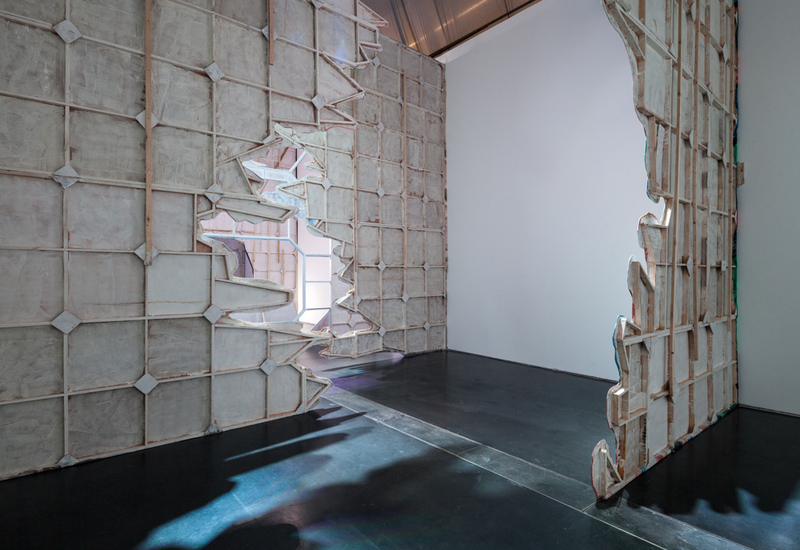 The installation calls into question the linear, continuous, and quantitative aspects of time. In 明年 | Next Year | L’Année Prochaine, Ming Wong performs the male and female roles in fragments taken from Last Year at Marienbad (1961), written by Alain Robbe-Grillet and directed by Alain Resnais. The narrative follows a woman living in a lavish hotel, who meets a man by chance. The man claims that they met the year before in Marienbad, had fallen in love, and agreed to meet at the hotel to elope. His brazen attitude and proposition make the woman laugh, and at first she denies everything. In the end, she finally concedes and runs off with the man. The film is celebrated for its innovative cinematic language-the camera reflecting the pace of the mind through repetition, reversal, freeze frame, and white out-capturing reality, memory, and illusion while inventing a sequential order different even from the internal logic of the montage. In the original film, the memory loss of the main character inhibits her thought process and time-”next year” compressed into now-loses all meaning. Ming Wong prefers the highly dramatic portions of films, acting as multiple characters within the story and attempting to embody their emotions. Last Year at Marienbad subverts the objective role of the camera, using it to portray a highly subjective world. This enables Ming Wong to more easily bring emotions to the surface, and also presents viewers with a subjective world in which they are faced with their own understandings of time. 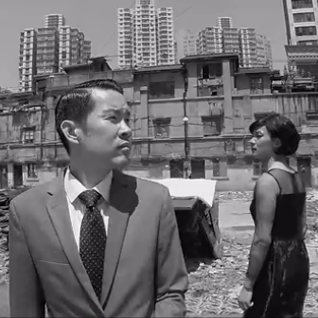 Ming Wong’s video works are generally based on excerpts of art films. From beginning to end, Last Year at Marienbad never makes reference to a specific location, and Ming Wong takes advantage of this fact to re-stage the work at Marienbad Café and Fuxing Park, both in Shanghai. Taking place in a café named after a French art film and a park combining French and Chinese gardening styles, neighborhoods and apartments that reference Chinese and Western architecture, the film hints at the notion that cultural perceptions of time remain unfixed. As a Singaporean artist based in Berlin, the artist’s cultural identity has often been used in interpretation of his work. However, cinema is inherently “transnational” and is used by the artist to reveal the synthesis of cultures. 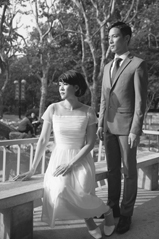 In 明年| Next Year | L’Année Prochaine, this is most clearly viewed in post-colonial Shanghai’s “Western-style” Marienbad Café, where Wong’s cinematic language and conscious structuring of the film are emphasized. The exhibition is the first installment of UCCA’s Secret Timezones Trilogy. Download “Ming Wong: Next Year”press release. “Ming Wong: Next Year” is the first installment of UCCA’s Secret Timezones Trilogy, a suite of consecutive solo exhibitions by contemporary Asian artists whose works reveal dislocated temporalities lying dormant behind mundane objects. The trilogy is curated by UCCA consulting curator Venus Lau, this exhibition with assistant curator Zoe Diao. Further exhbitions include Korakrit Arunanondchai and Haegue Yang. The Secret Timezones Trilogy is sponsored by SEDANT•ZIQUE. The new media art production partner is CP and WTi. Exclusive sponsorship of sound equipment comes from GENELEC. The exhibition catalogue is published with support from Post Wave Publishing Consulting. Hainan Airlines provided airline sponsorship. Vitamin Creative Space provided production support for ”明年 | Next Year | L’Année Prochaine”. 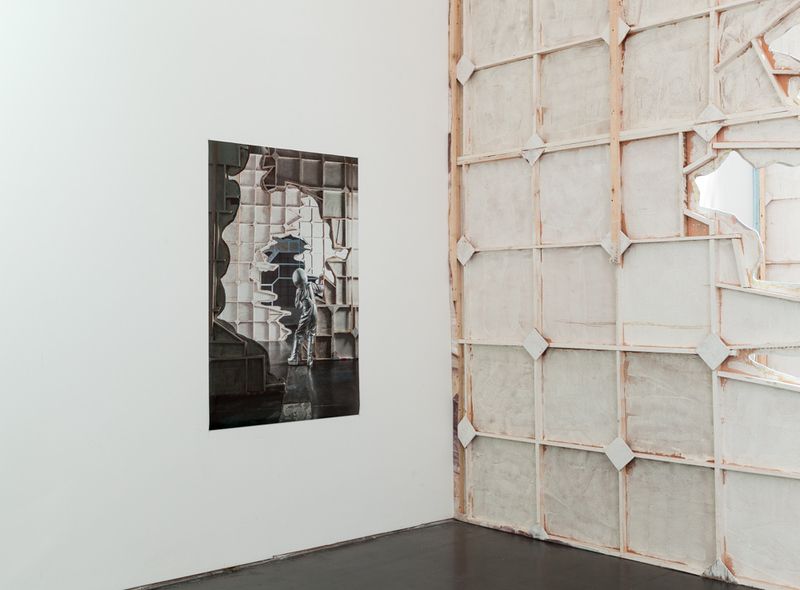 Currently based in Berlin, Ming Wong received an MFA from Slade School of Art, University College London. His major solo exhibitions include “Me in Me” (Shiseido Gallery, Tokyo, 2013); “Ming Wong: Making Chinatown” (Redcat, Los Angeles, 2012). 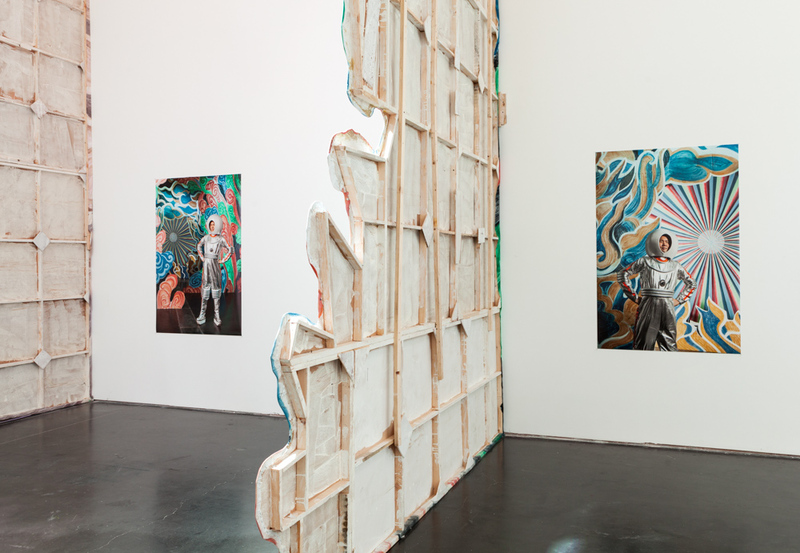 His major group exhibitions include “Fassbinder – NOW” (Martin-Gropius-Bau, Berlin, 2015) and “Islands Off the Shores of Asia” (Spring Studio / Para Site, Hong Kong, 2014). Ming Wong has participated in a number of international triennials and biennales, including “The 8th Asia Pacific Triennial of Contemporary Art” (Queensland Art Gallery, Brisbane, 2015); “Social Factory: The 10th Shanghai Biennale” (Power Station of Art, 2014); “12th Biennale de Lyon: Meanwhile… Suddenly, and Then” (2013); Liverpool Biennial (2012); Singapore Biennale (2011); Gwangju Art Biennale (2012); Biennale of Sydney (2010); Performa 11 (Museum of the Moving Image, New York, 2011). 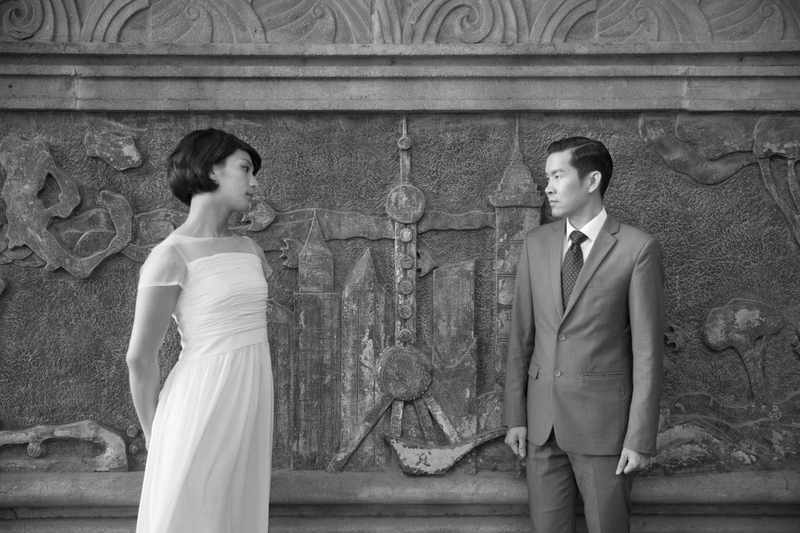 Ming Wong also has also presented “Life of Imitation” at the Singapore Pavilion of the 53rd Venice Biennale (2009). The Ullens Center for Contemporary Art(UCCA) is an independent, not-for-profit art center serving a global Beijing public. Located at the heart of Beijing’s 798 Art District, it was founded by the Belgian collectors Guy and Myriam Ullens and opened in November 2007. Through a diverse array of exhibitions with artists Chinese and international, established and emerging, as well as a wide range of public programs, UCCA aims to promote the continued development of the Chinese art scene, foster international exchange, and showcase the latest in art and culture to hundreds of thousands of visitors each year. Production still from "Next Year / L'Année Prochaine"